Image of the Yagi-Uda Dipole Array with Folded Dipole. 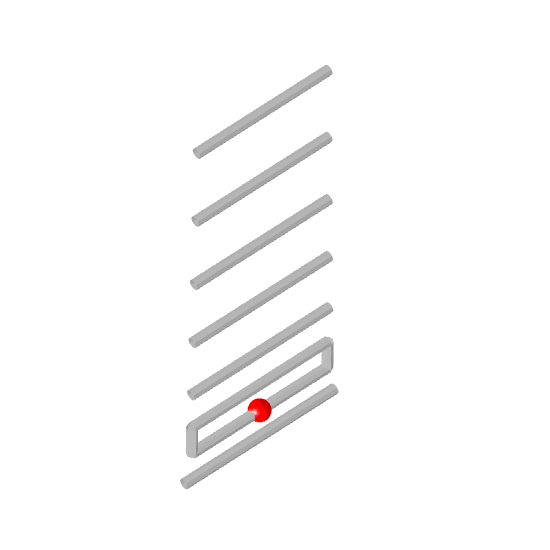 The conventional Yagi-Uda array, using a dipole as driven element typically has low input impedance and narrow bandwidth. By replacing the dipole feed with a folded dipole, the input impedance can be increased to match common cable impedances. Antenna Magus allows the user to design the Yagi-Uda Dipole Array with Folded Dipole for different parameter objectives like gain, beamwidth and frequency and number of elements. There is a trade-off between the performance characteristics when optimising for increased bandwidth which reduces the obtainable gain. 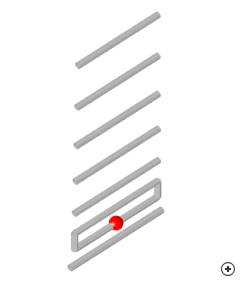 For optimum designs, the director spacing and lengths are not uniform. Optimum structures are generally achieved based on optimisation of a first-order design. 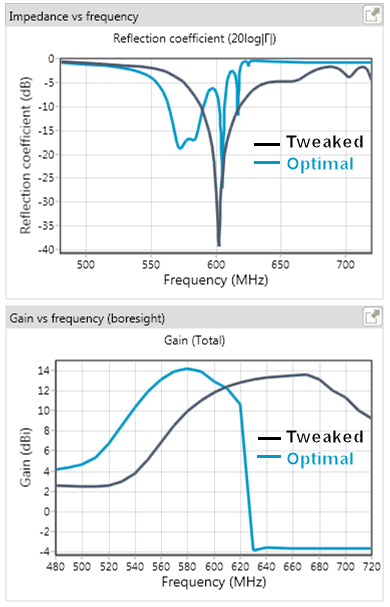 The following image shows a design comparison at 600 MHz. Antenna Magus provided an optimum gain design (blue trace) which was tweaked by shortening some of the directors and the folded dipole length. This achieved a wider impedance match while trading off some gain performance. 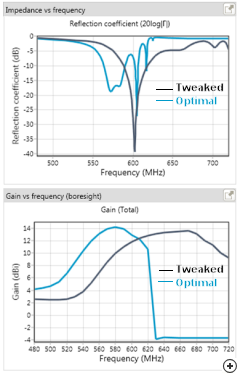 Comparison of an optimal gain design vs a design that was tweaked in order to increase the bandwidth.